The history and research behind animal therapy shows that there are many benefits to having therapy animals in a medical setting. 1. Lowering Blood Pressure – when a person is stressed or anxious, blood pressure tends to rise. By having therapy dogs in the office, patient anxiety and nervousness tends to decrease. 2. Lowering Levels of Epinephrine and Norepinephrine – These affect heart rate, blood pressure, glucose level, and many other important factors related to proper functioning of the body. When the levels are not where they need to be, our body tends to not function properly. 3. Reducing Patient Anxiety – By having therapy animals in the office, patients can reduce dental anxiety. 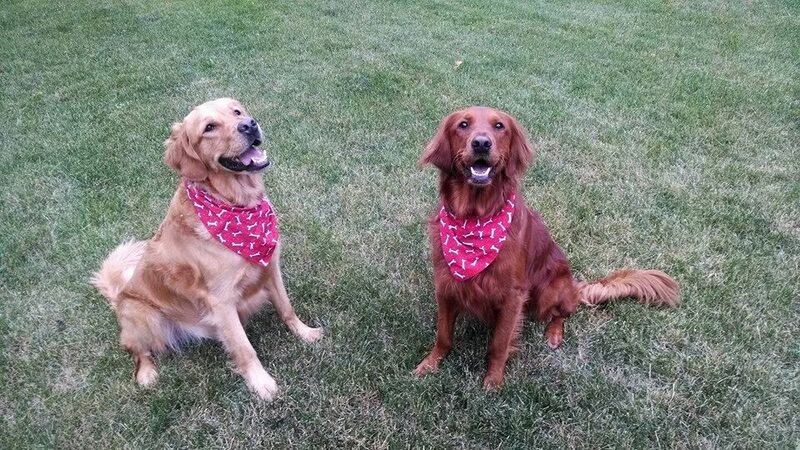 Our beautiful Golden Retrievers are right by your side, holding your hand through any procedure if you need them. 4. Increasing Endorphin Levels – It is a natural substance produced by the body, which works by manipulating the perceptions of pain or stress. Endorphin is a neurotransmitter in the brain and it has very similar functions to opiate drugs. 5. Increasing Oxytocin Levels – Other main benefits of therapy dogs are that the animals can boost happiness, improve empathy, stimulate better pair bonding, and promote happier life. Therapy dogs can do all the great things by simply increasing the level of oxytocin; it is the hormone that plays a major role in breastfeeding, sexual reproduction, and other maternal behaviors. Our therapy dogs are very in tune with a person’s anxiety or comfort level. They have the ability to know when to assist our patients with that anxiety. Please give us a call to set up an appointment and meet our therapy dogs today! Rowdy and Amber can’t wait to meet you!!! Next post: Bruxism (Grinding) – How does it impact your teeth?